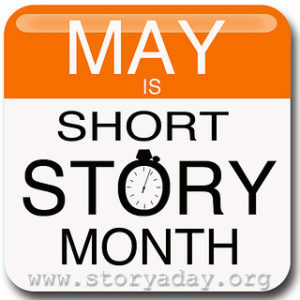 Did you know that May is Short Story Month? I saw an article about it and thought you know, this may get me out of my reading rut. As I’ve mentioned before I don’t read a lot of short stories but I do realize they can be a great way to discover an author and/or help you get through those times when you feel like you can’t devote a lot of time to reading. Penguin Random House has this great list of short story collections they recommend. I’ve only read one collection, After the Quake by Haruki Murakami and I admit it wasn’t my favorite but I do have some of these other titles on my radar. Now if you want to read your short stories online, Huffington Post has this great list to choose from. There are a couple here I’d like to check out definitely. Strange Pilgrims by Gabriel Garcia Marquez. I’ve read this one many years ago and it has all the wonderful qualities of GGM’s writing – magical realism, beautiful descriptions and memorable characters. Interpreter of Maladies by Jhumpa Lahiri. Another read that I discovered many years ago. This award winning collection traces the lives of Indian Americans adapting to their new homeland. Tales from Outer Suburbia by Shaun Tan. 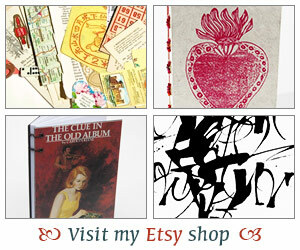 For something a bit different, check out these wonderful short stories accompanied by beautiful imagery. Finally if you like mystery short stories I highly recommend the collections in the Noir series from Akashic Books. I’ve read from several and it’s a great way to discover some international crime fiction. Now, tell me if you’ve got a short story collection you recommend. I’ve got my pencil ready to take notes! I had no idea May is short story month. Not much of a short story reader though so I can’t make any recommendations. I hope you discover something really good! I love short stories in every month, but I’ve only read a few of these (Mona Awad, Alice Munro – a real favourite, George Saunders and Octavia Butler); I guess I read more Canadian short story writers than international. Right now, I’m gradually working through all of Mavis Gallant’s short stories (which is what I did with Munro a few years back). I know you love mysteries: have you ever tried any of the Noir series? I’ve only dabbled in the Toronto one, but I imagine making a project of them someday! I’m also guessing you might like Daphne du Maurier’s stories, maybe?